Does any of the following sound familiar? The shower area is too small to enjoy a good long relaxing shower. The floor is old and cracking. The walls are dull and peeling. The showerhead and faucets are old and rusted. The bathroom feels dated and you dread spending time in there. It does not have to stay that way! 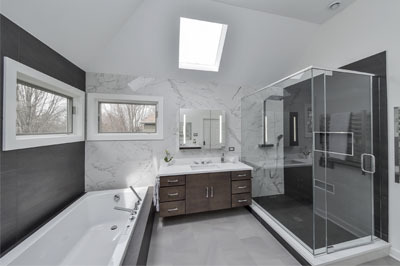 A bathroom renovation can turn the worst of spaces into a beautiful personal haven that rivals the best of spas. 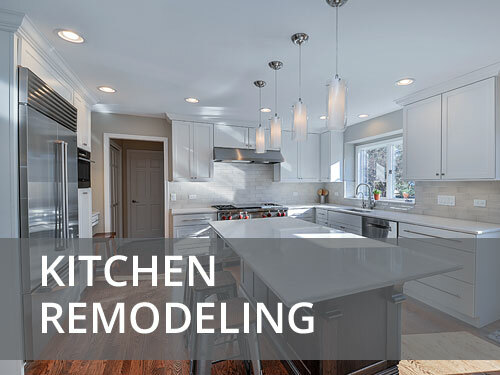 Sebring is a home remodeling company that has over 15 years of experience renovating bathrooms for homeowners in Oak Brook. 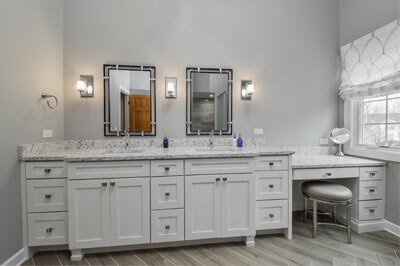 In every Oak Brook bathroom remodeling project we have undertaken, our sole aim has been to turn our customers’ dreams into reality. Every great Oak Brook renovation project begins with a solid plan. This includes laying out details on issues such as the budget, materials, design and timetable. Planning is the first step we take for any project we take on. We will work hand in hand with you to create a comprehensive strategy that ensures a successful project. 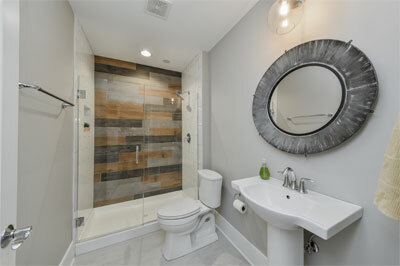 Before you even hire a contractor, it is important to have an idea of what you want your bathroom to look like. Start by thinking about your preferred theme or design. 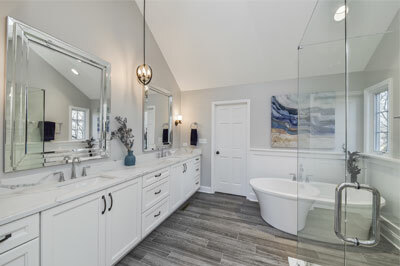 For master bathrooms that are connected to the master bedroom, you want a style that mirrors that of the bedroom. 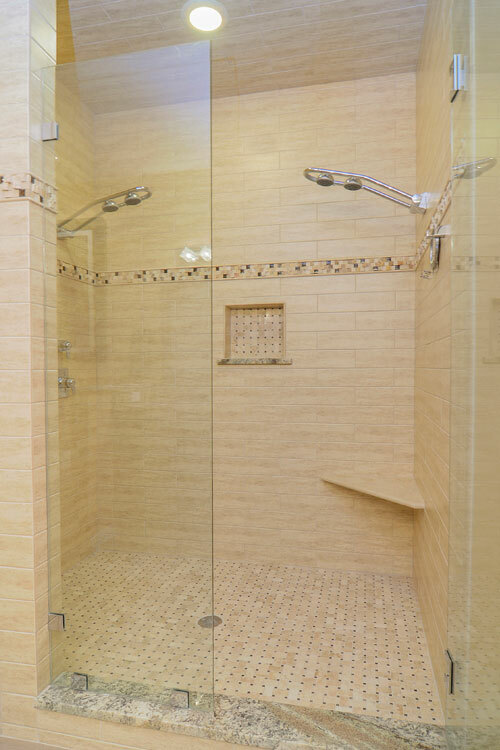 This creates a seamless transition from the bedroom into the bathroom. Since you are the only one using the bathroom, you could also decide to be unique, opting for unusual styling that appeals to your tastes. 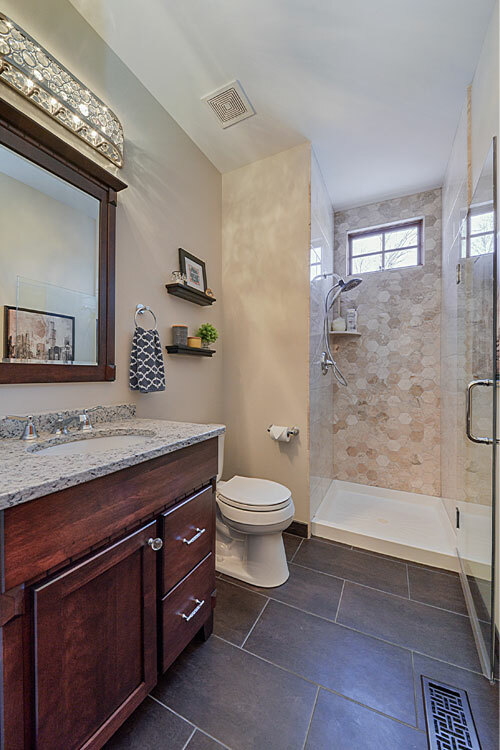 For a guest bathroom, you might want to go for a more neutral design that will work well for most of your guests. What you might consider appealing may not to another person. For a kid’s bathroom, opt for a whimsical, fun and child-friendly space. Start with important features such as a non-slip floor and accessible faucets. Keep the colors bright; mixing them up with fun colorful artwork. Water is plentiful in the bathroom, and it is essential to consider the resilience and durability of whatever materials you use. For materials that are not naturally waterproof, make sure they are treated to repel water. This will keep your bathroom looking good for years and keep your maintenance costs down. 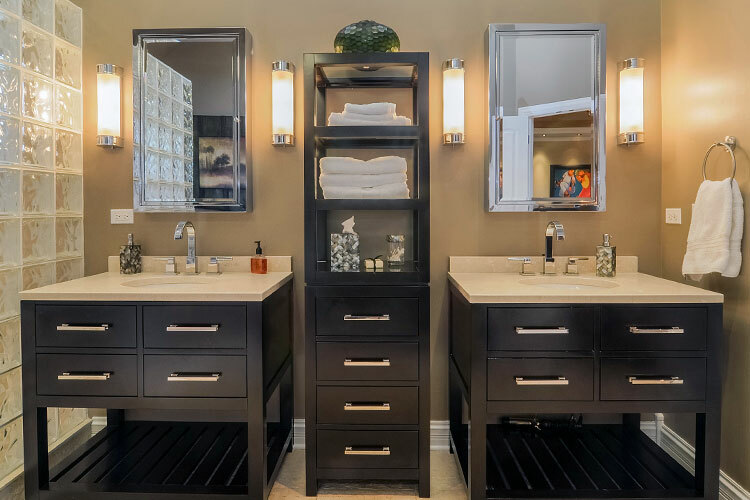 Bathroom design ideas are limitless. Whatever you have in mind, we can work together to make it a reality. Your bathroom is your personal sanctuary. It is the place you come to wash off the grit of the day while re-energizing your body. It deserves to look good. Do not put up with a tired and dull bedroom that gives you more stress than it takes away. 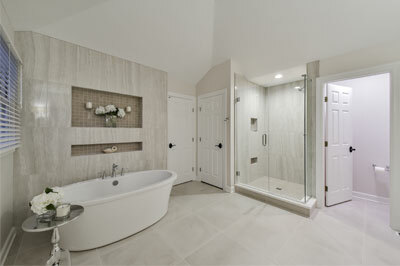 Call us now to begin the journey to creating your dream bathroom. 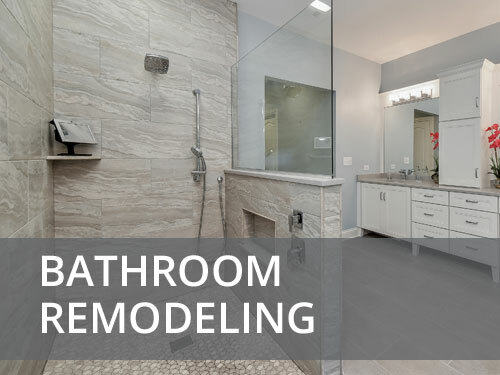 We will schedule a free consultation to discuss your ideas and consider available options for your bathroom renovation. ” Sebring did an excellent job remodeling our bathroom. We love the final product. Bryan Sebring had excellent ideas when scoping out the work. 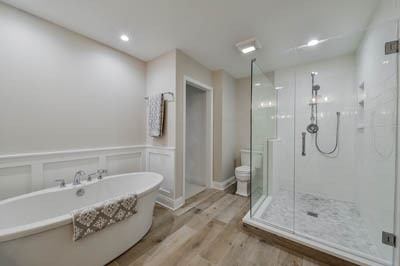 . .
” Sebring Services renovated our master bath, and based on the experience I am confident in recommending them to others as a skillful and reliable contractor. Our decision followed a long and painful search/quote process with several local firms. 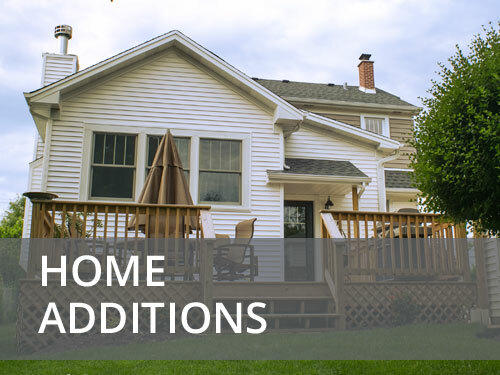 Since Sebring had recently worked with two families in our neighborhood with good results, we felt comfortable with the choice. 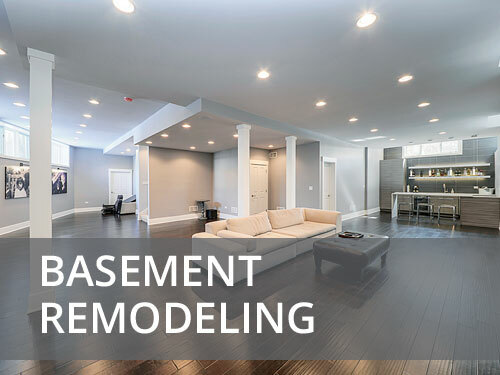 Once Bryan and his team were engaged, the project proceeded on plan and stayed within our budget. We had a design in mind from the outset and asked to use a specific tile, which was no problem with Sebring. The tile work was the centerpiece of our project, and Sebring’s tile guy was truly an expert. We are still ecstatic every time we enter the room!